Indian Holiday offers Fascinating Australia Tour, a tour package of 7 nights and 8 days that takes lets you explore some amazing and exotic places of Australia, a perfect once-in-a-lifetime experience. 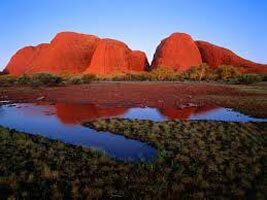 During the itinerary you visit some exciting destinations of Australia including Perth, Ayers Rock, Kings Canyon and Alice Springs. 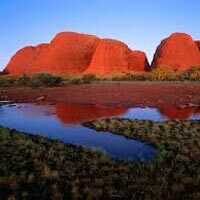 Some of the major highlights of the tour are adventure activities at the Pinnacles Desert, memorable sunrise and sunset at Ayers Rock and a chance to explore Kings Canyon and Alice Springs. After you arrive at the Perth airport, get an assisted transfer to your pre-booked hotel. Once you complete the check-in formalities, spend the in doing the activities of your interest. Stay overnight in Perth. Today is the last day of your tour when you get transferred to the airport to board a flight for your next destination.